This isn’t even a joke. MJ LOVES to have her picture made. (I know you’re thinking – Duh, Captain Obvious.) She also loves a routine and she finds it really hard to break one when she’s in it. 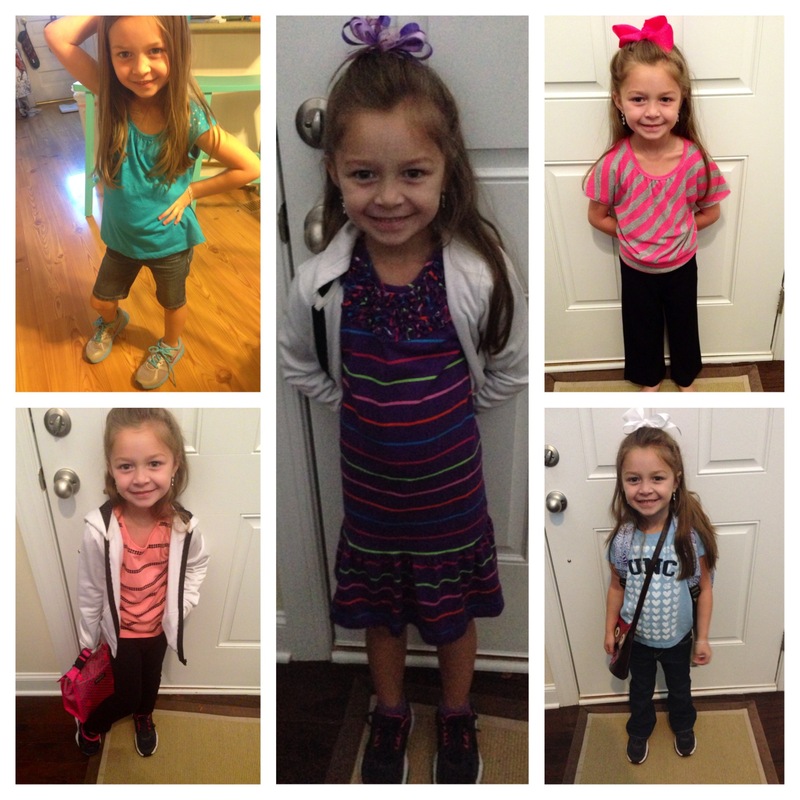 Of course, at the beginning of school we took a pic the first few mornings…well it’s become a part of her day and she loves it. I also have this rule about wearing the same thing twice in two weeks (as in, don’t do it) so it also helps me remember what she wore!! So, here’s an example….